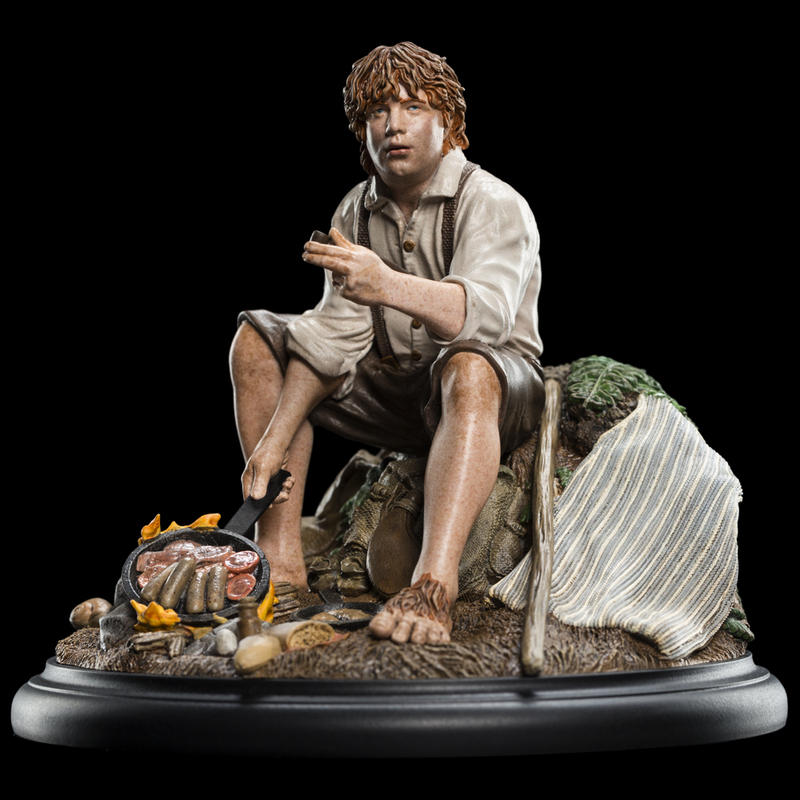 The loyal friend of Frodo Baggins and gardener at Bag End, Samwise Gamgee is a stout-hearted Hobbit of simple tastes and pleasures. 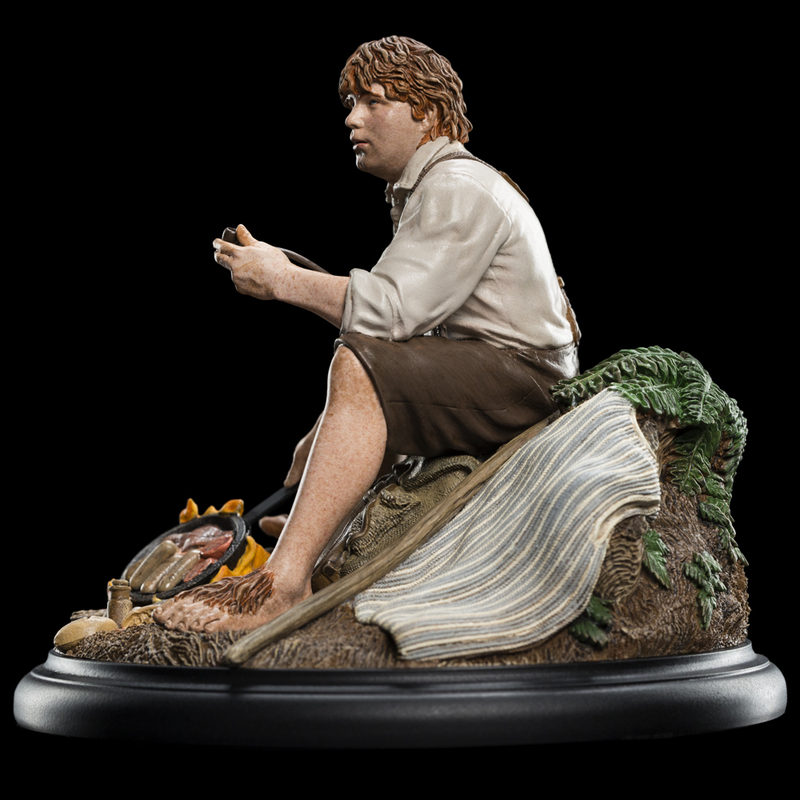 When pressed into service as Frodo’s companion and guardian on a perilous journey, brave and dependable Sam demonstrates the faith Gandalf the Grey placed in him was well-deserved. 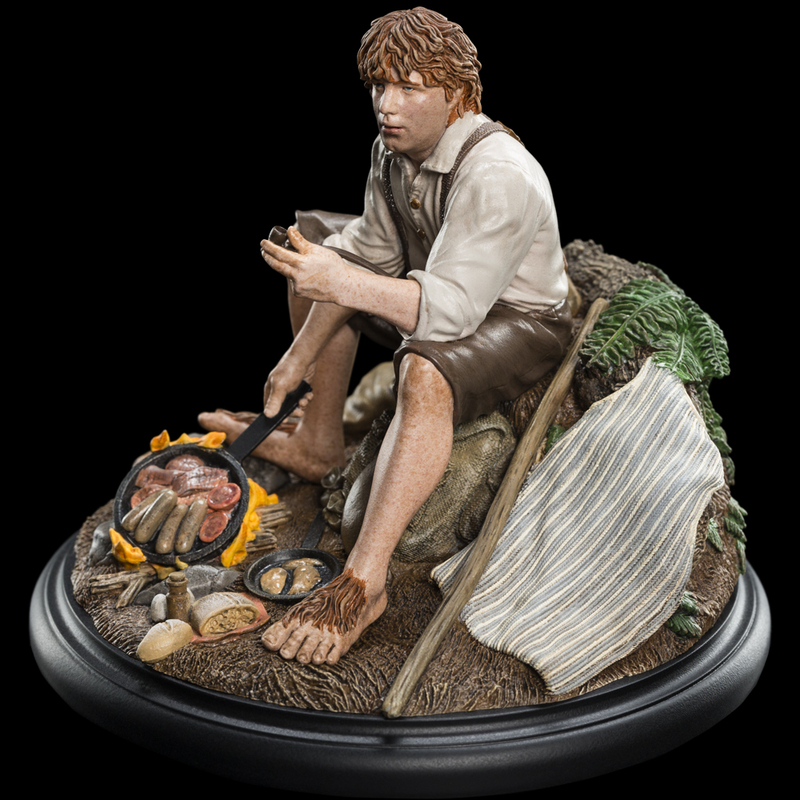 Promising not to let Frodo out of his sight, he holds true to his word, an unshakable ally in even the most daunting of circumstances. 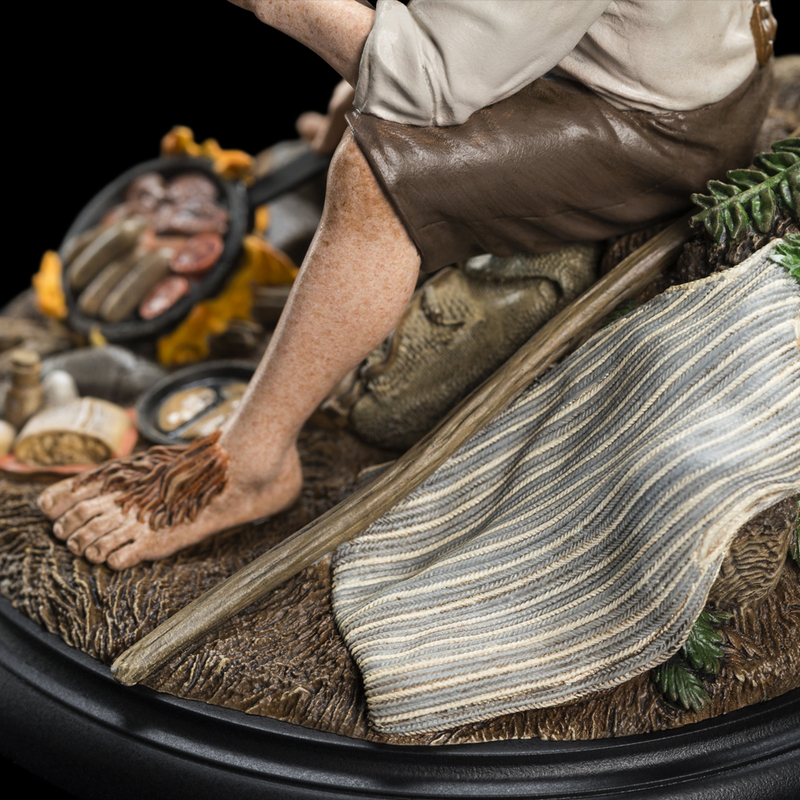 It is the quiet moments shared together on their quest that make the Hobbits the fastest of friends. 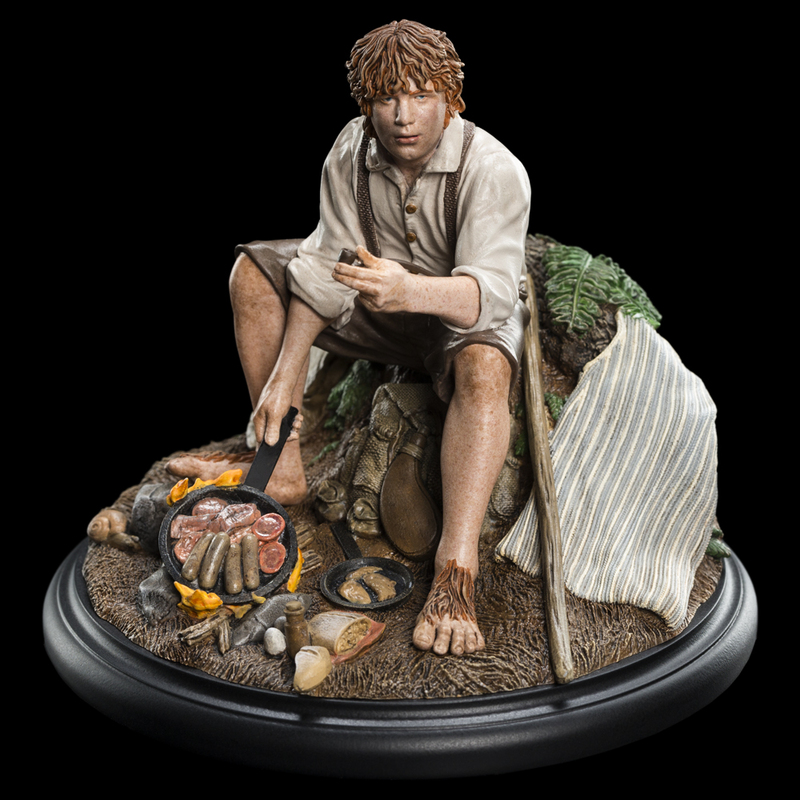 Pausing to rest near the borders of the Shire, Sam stirs their dinner over a campfire when a lilting melody upon the breeze tickles his pointed ear. Born upon the wind is the doleful song of a company of Wood Elves on the Great Western Road, bound for the sea and the Undying lands beyond the horizon. Watching them go, Sam feels the magic of the world slipping slowly away, and his sweet heart is touched with sadness. 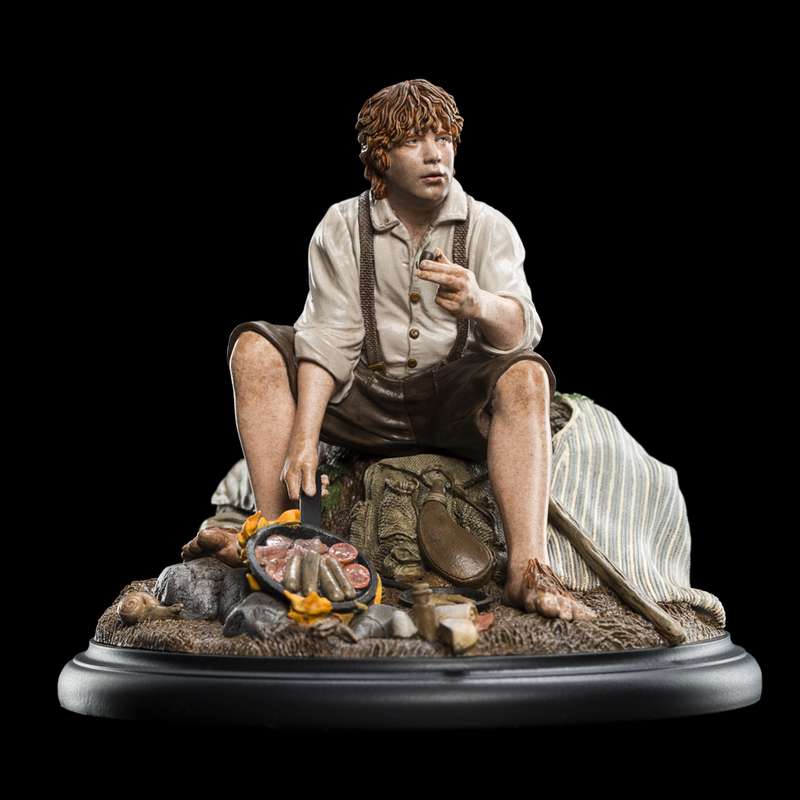 Expertly sculpted by Gary Hunt, a member of the original Lord of the Rings crew, Samwise Gamgee will make a fine addition to your Weta Workshop miniatures collection.